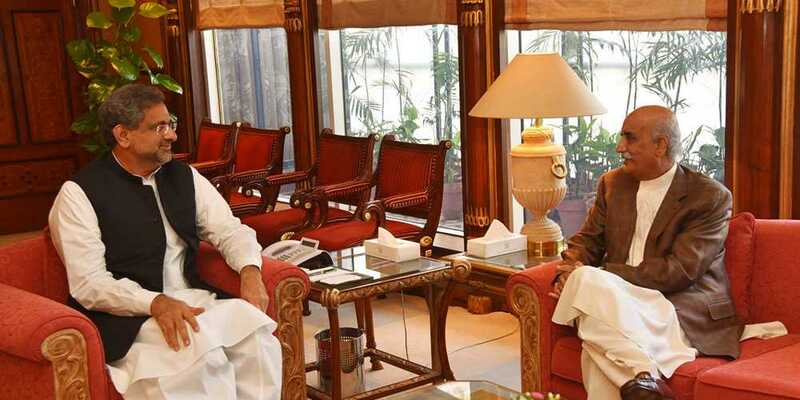 A crucial meeting between Prime Minister Shahid Khaqan Abbasi and Leader of the Opposition Khursheed Shah to decide on the name of a caretaker premier ended inconclusively as both the government and the opposition failed to agree on a candidate for the post. Held at the PM Office, the meeting lasted for over half an hour after which Shah left for Parliament House while the prime minister proceeded to chair an Executive Committee of the National Economic Council (ECNEC) meeting. PM Abbasi and Shah met earlier on May 18 but the conclave proved inconclusive as both sides failed to finalize a candidate before Abbasi left for Turkey to participate in the 7th Extraordinary Summit of OIC to discuss Israeli forces brutalities against Palestinians.